The new Astra VXR is hot stuff, but it’s not red-hot, and all the better for it. 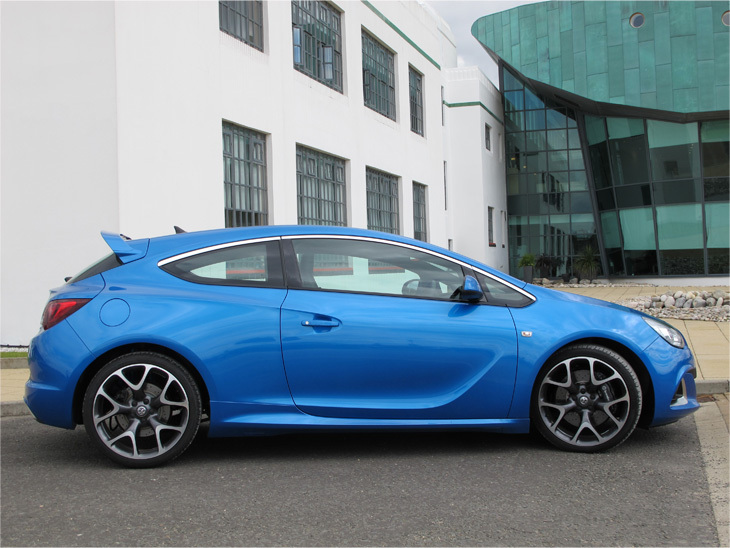 Whereas the Corsa VXR is a nippy, darty wee thing (202 bhp), the Astra is more relaxed despite the fact that it has oodles more power. 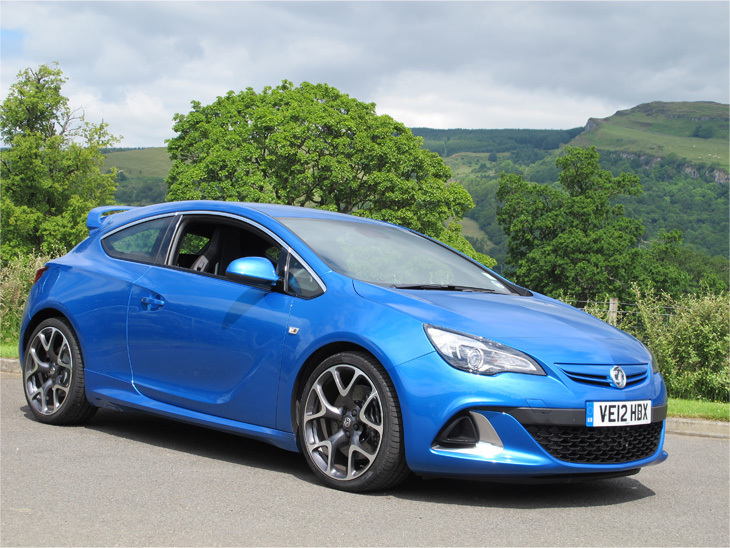 With 276 bhp on tap, you might think it would be fiery and temperamental, not a bit of it. It puts down the power remarkably well. Of course any idiot could get caught out with too much power too soon on too tight a bend, but that’s the same of any car these days, despite all the ESPs, EBDs and TCs, but drive within its capabilities and it’s a remarkably urgent and comfortable cross country dispatcher. It also handles and rides very well on its 19 inch wheels (as opposed to the more showy 20 inch options) and coupled with a very roomy and comfortable interior, makes this more of a proper ‘Grand Tourer’ than sphincter clenching hot rod. It’s also got a ‘sports exhaust’ which makes it sound quite fruity until you drop a couple of gears and give it the beans, at that point the pleasant engine note is somewhat swamped by the industrial grade whoosh of the turbo sooking in great gollops of air. The reward though, is a nought to 60 time of around 6 seconds and a top whack of 155. And like most of us these days, it has put on a bit more girth than the old Astra. Although this relates to more shoulder and headroom internally, it means the car is wider externally. Up from 1753 mm to 1840 mm which is three and half inches in real money. That doesn’t sound a lot, but when parking at the supermarket and trying to sprachle out of the wide doors without bumping the car next door, it requires a bit of extra physical dexterity. And if used to the old Astra shape, then the extra width is also noticeable on country roads, especially when an 18 tonne fridge truck is coming the other way. He wasn’t for pulling over or slowing down, and I had visions of stumping up for a door mirror, but the spring growth on the hedges was quite soft! It’s a good every day car with the potential to put a smile on your face when you want to play, but at 27 grand, it’s an expensive toy. Then again, it’s not that expensive compared to its rivals, and it is the most powerful engine of the hot-hatch bunch these days.